It was the year 2006 when Studio Sunrise, author of very successful animated series including Cowboy Bebop, Inuyasha, City Hunter and Gundam, presented among the autumn news a title that would have an unexpected following, creating one of the best known franchises of the last decade: Code Geass. The story is set in an alternative future where the three world superpowers divided into Euro Universe (Europe and Africa), the Chinese Federation (Asia and the Middle East) and the Holy Empire of Britannia (America) are fighting for supremacy. Britannia decides to declare war to Japan and annexes it to the empire by renaming it in “Area 11”. Seven years after this event a young man named Lelouch Lamperouge revisits his childhood friend Suzaku Kururugi, who obtained Britannia citizenship and enlisted to army. 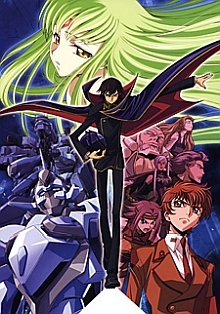 In a dramatic situation in which the Japanese people of the Shinjuku ghetto are exterminated by order of the British Prince Clovis, Lelouch, mistaken for a Japanese terrorist and about to be executed, receives from a mysterious girl called C.C the Geass, a power that makes him capable of subduing the will of others by controlling people with only eye contact. C.C then establishes with Lelouch a solid relationship of complicity, so much to look like his woman, and, reciprocated in affection, will remain at his side until the end. But the real name of Lelouch was actually Lelouch VI Britannia, he is the 17th Prince in succession to the throne of Britannia. Seven years ago, a group of assassins, exchanged for terrorists, killed his mother Marianne. As a consequence Lelouch's sister, Nunnally, became blind and lost the use of her legs. Faced with the insensibility of his father, Charles Zi Britannia, the young Lelouch renounced his title of Prince, and the Emperor decided to exploit him as a diplomatic commodity, sending him hostage to Japan, then in the diplomatic war against Britannia. Here Lelouch and Nunnally lived moments of happiness with their friend Suzaku, son of the Japanese Prime Minister, of whom the young Princes were guests. Forced to flee following Britain's occupation of Japan, the young Lelouch meditates revenge against the homeland. He has two desires: to avenge his mother's death and to build a world where he and his little sister can live happily. Thanks to Geass, Lelouch moves therefore to the destruction of Britannia, marching on the desperation of the Japanese, devoid of any freedom, and creating a fictitious identity: Zero, paladin of justice, he who will rebuild the world, in fact, from zero. 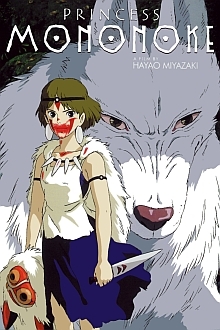 With the screenplay by Ichiro Okochi and the direction of Goro Taniguchi, the series is of great impact, relying on many mainstream elements common to the big series. 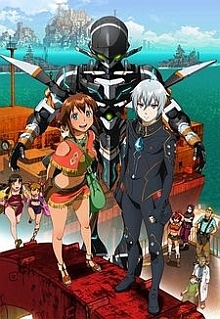 They succeeds in bringing together different genres, passing from love triangles to school life for fighting and action scenes, adding the robotic component with the Knightmare Frames. The story is always maintained on very high narrative levels with numerous cliffhanger at the end of the episodes that leave the viewer curious to continue in the events. 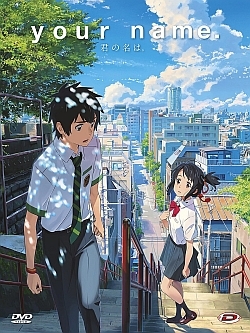 The 48 episodes that make up the series are divided into two seasons, the second called R2, and unfortunately only in the latter part there’s a drop in tension brought by the repetitiveness of certain situations, recovered in part by the spectacular final that takes the name of Zero Requiem and was discussed from long time. The chara design is certainly one of the points of greatest strength being the first anime series that sees as its authors the CLAMP, one of the most famous group of mangakas in Japan. Thanks to their participation in the project since the early stages they offered different contributions for the development of the characters and settings. 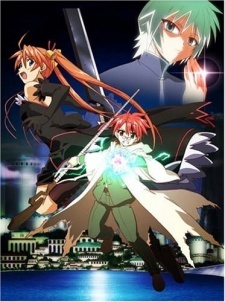 The success of the series was such that it resulted in 5 manga series, 2 series of light novel and 3 OAV, one of which came to Italy (Akito The Exilied, set in Euro Universe) published by DynIt. On the occasion of the tenth anniversary of the series, which fell in October 2016, Studio Sunrise announced the creation of a sequel entitled Code Geass: Lelouch of the Resurrection. Initially it had to be a third season that would be published after the release of three films of the first two at the cinema. 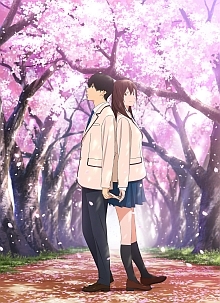 Recently Studio Sunrise has officially announced that it will be three films of which the first will be shown in theaters in February 2019. Code Geass is an impressive series that has made many people turn up their noses for the amount of franchises and for having many redundant elements within themselves. But at the same time it is an enjoyable product for an heterogeneous public and perhaps this is the secret of its success.